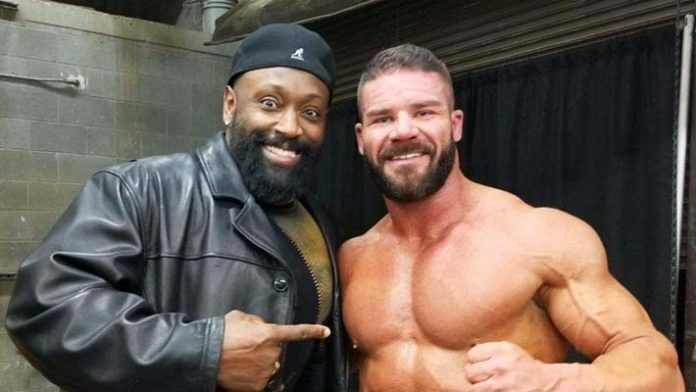 WWE RAW Tag Team Champion Bobby Roode had the chance to reunite with an old friend. 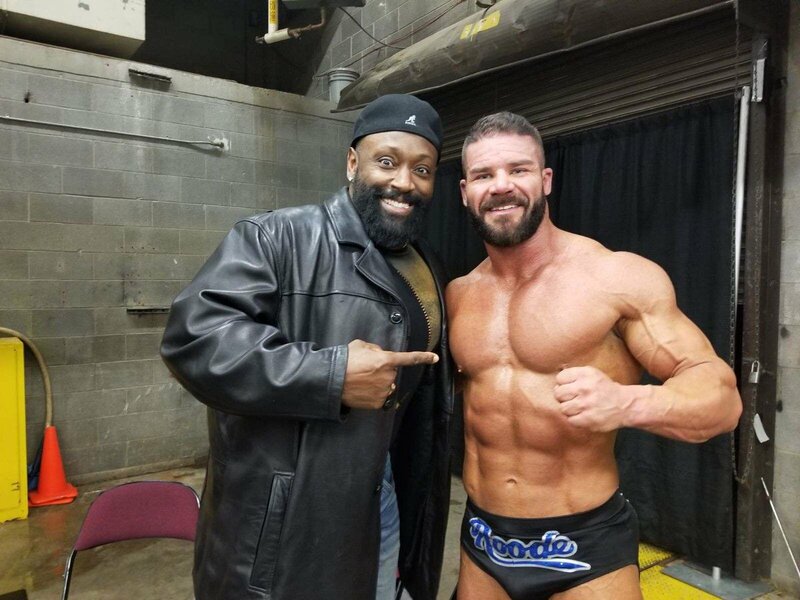 Former TNA and WWE star Monty Brown was backstage at the WWE live event on Sunday night in Saginaw, MI at the Dow Event Center. Monty Brown was in TNA from 2002 through 2006. He later joined WWECW as Marcus Cor Von from 2006 – 2007. During his time with TNA, Brown won the first-ever ‘Monsters Ball’ match at Victory Road in 2004 by defeating Raven and Abyss. Although he never won a title under the TNA banner, he came close to winning the NWA World Heavyweight Championship, which was their top title at the time, on several occasions. The Ascension def. Zack Ryder and Curt Hawkins. Braun Strowman defeated Baron Corbin – Saginaw Street Fight.